Tahnia is part of our amazing front of house team. She has spent more than seven years in customer service across a few different industries and is enjoying working in the automotive industry as her knowledge will soon rival that of her partner, who is quite into cars. 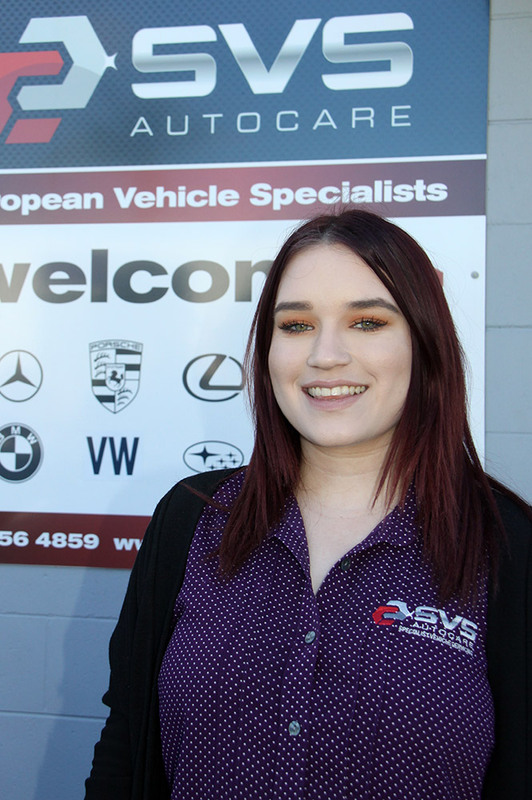 With an eagerness to help, Tahnia’s skills are an asset to the SVS Autocare team. While she is saving to buy an Audi A4 as her next set of wheels, Tahnia dreams of one day owning a Mustang GT.